(10/9/18) A 7-year-old is in critical condition after police say he was attacked by a PIT BULL Monday afternoon. Grambling Police say the incident happened on Medgar Evers Drive. Several times in their press release, police identified the dog as a pit bull. The boy was playing outside when he got too close to a chained up pit bull and is now suffering from injuries to his head, shoulder, arm and legs. The dog was put down on scene by a Grambling Animal Control Officer. On Monday, October 8, 2018, at around 2:30 p.m., Grambling Police received a call in reference to a pit-bull attacking a 7-year-old boy in the 100 block of Medgar Evers Drive. The child apparently wandered to close to the chained dog when it suddenly attacked the kid. The victim's father, who was inside the residence when the attack started, immediately ran out and struck the dog with a blunt object and pulled the boy to safety. The child suffered severe injuries to his shoulder, arm, legs and head. Police and fire personnel arrived and immediately discovered the child's injuries were critical enough to have the child airlifted to University Health Trauma Center in Shreveport. The pit-bull was so dangerous and out of control until the dog was put down on site by a Grambling Animal Control Officer. Early stages of the investigation indicates the child was playing outdoors when for some unknown reason, he got too close to the pitt-bull which was chained in the backyard area. 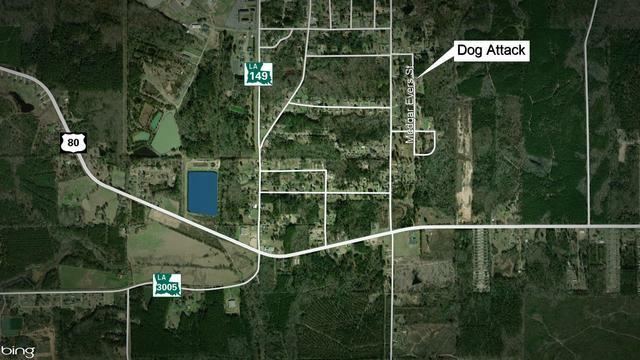 The attacking dog was being kept on the property for a friend of the victim's father. The owner of the pit-bull has been issued a criminal summons and the investigation is ongoing.